For a third season, Rhinestones Unlimited is proud to have sponsored the University of Minnesota Dance Team with another gorgeous costume. They represented their school and home state and took home a 19 th national championship title in 20 years at the 2019 UDA Collegiate Nationals in Orlando. 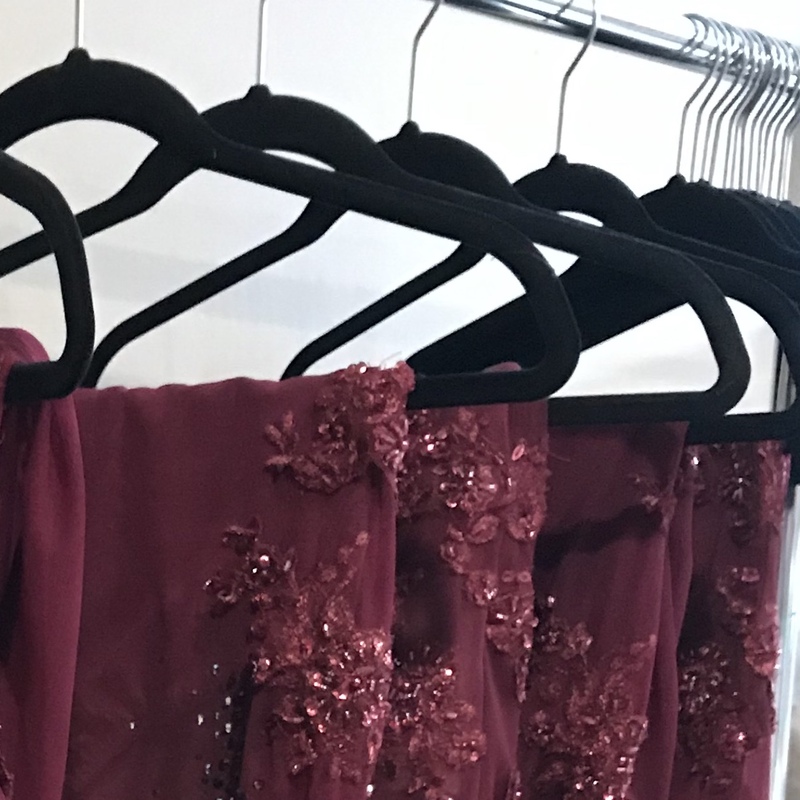 Preciosa crystals inspired this year’s Jazz costume, starring Rhinestones Unlimited EXCLUSIVE color Metallic Rose along with Burgundy, Burgundy AB and Amethyst Opal AB. This unique combination of Preciosa Viva 12 rhinestones feature uniquely cut facets and a large surface area that amplifies the light, magnifying the sparkle and enhancing their personality on the floor - perfect when your stage is an oversized arena. 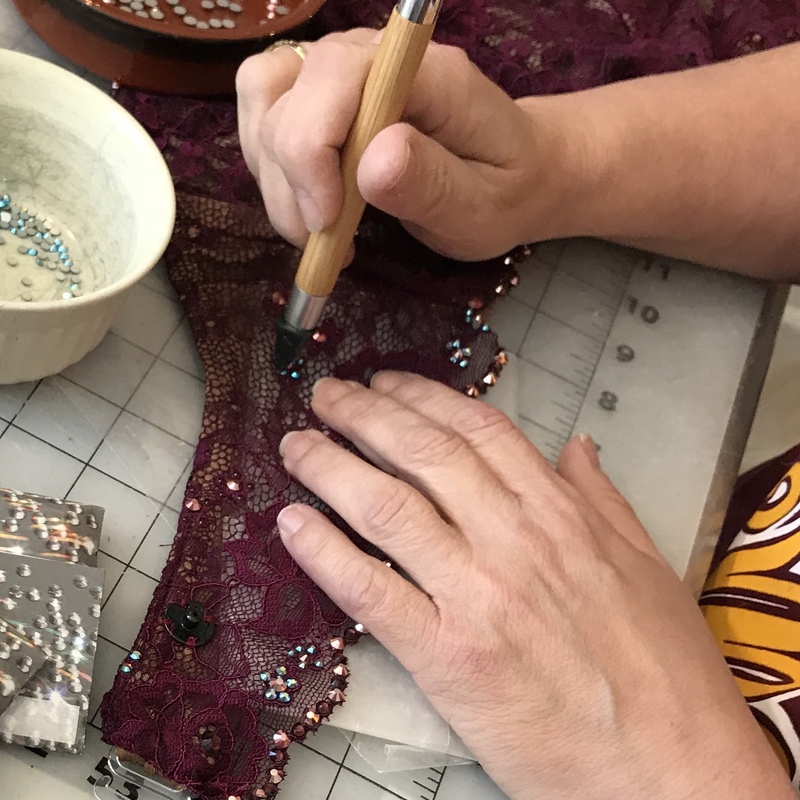 In-demand dance costume designer Elle Bauer also happens to be a Rhinestones Unlimited employee AND the mother of a UMDT dancer- who else would be called upon to lead the creation of this design? Elle met with U of M coaches Rachel Fellows, Kim Crawford and Rachel Soule so they could share the team’s ideas for this year’s Jazz look. Letting the music set the tone for the piece, coaches requested that the costume celebrated the ladies’ shapes with a defined waistline, lengthened their lines, and of course, showcased killer sparkle on the floor. Moving beyond the skirted leotard look that’s swept the dance scene in recent years, Elle interpreted these elements into a strong, sporty, feminine silhouette perfect for the dynamic, athletic ladies who dance in it. Contrasting the soft neutral shades of years past, the 2019 piece is a rich merlot, complementing every dancers’ skin tone and echoing the U of MN’s school colors, maroon and gold. It begins with a solid high-waisted trunk and halter top that’s collared at the neck, where it meets two split swaths of chiffon that run down the front of the bodice to the waist, leaving an open back. The trunks continue where the chiffon left off, cloaked in attached sheer leggings that highlights the team’s signature movement choreographed by Mackenzie Larkin Symanietz and Amanda Gaines and of course those jaw-dropping à la seconde turns in perfect synchronization! "Dance Mom" Cindy Gowan worked as Elle’s right hand. 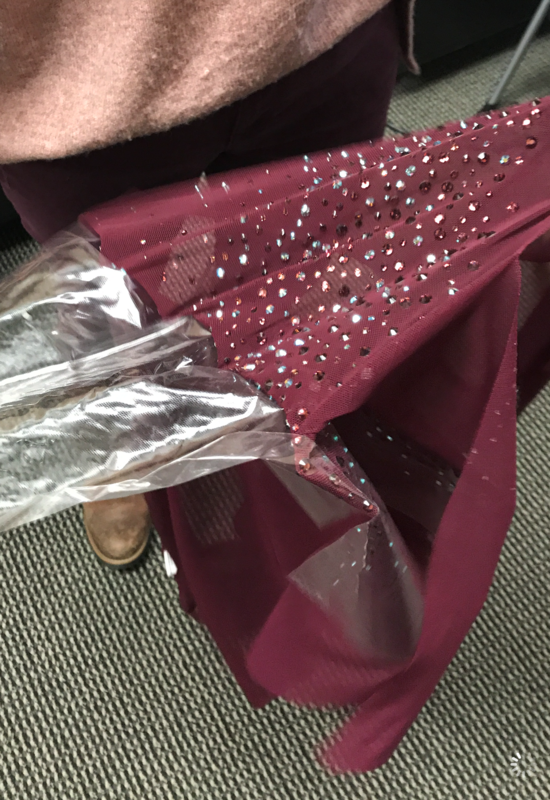 Daughter and Dance Team member Chloe Bauer designed the Preciosa crystal accent for the leg and hip, with which Rhinestones Unlimited owner Angie Peery facilitated in the creation of easy-to-apply heat transfers. Dana Meyers, “Senior Captain Mom,” designed the Preciosa crystal pattern embellishing the appliques along the halter top and collar. Team moms worked in dedication that rivaled their daughters’ school spirit, stitching on embellished appliques (thanks, Deb Kasner! 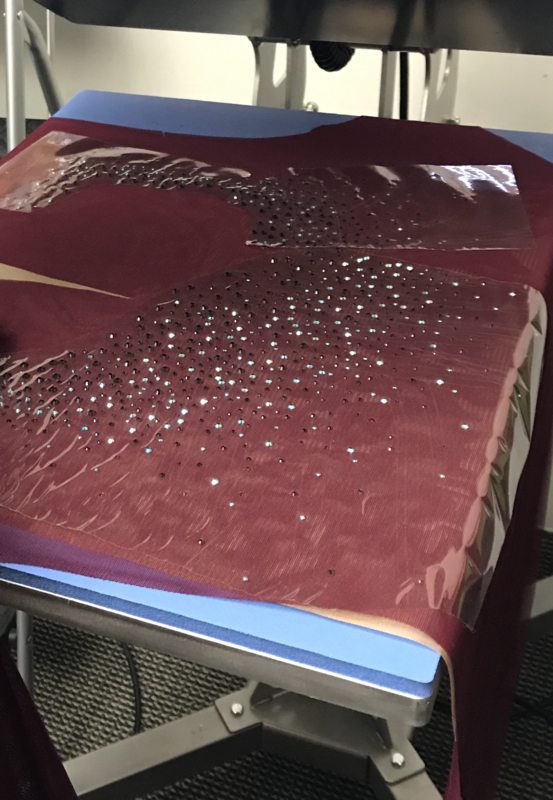 ), heat-pressing transfers, and applying nearly two thousand additional Preciosa crystals to each piece by hand. We see where these danc ers learned teamwork - great job moms! The team previewed their Jazz routine when they hosted the annual fundraiser and showcase event, Best of the Best, which brings together some of the state’s best dance team in celebration of the sport. Rhinestones Unlimited teamed up with Matt Blewett and MN Dance News to bring you free downloadable images from the event for you to share on social media. Thank-you Matt for your continued support of MN Dance by reporting the news of our sport to the masses. Also, make sure you check out the gorgeous video work by Laura Sukowatey as she captured the costumes and movement of this talented team. Congratulations, University of Minnesota Dance Team! We are all so proud of you!